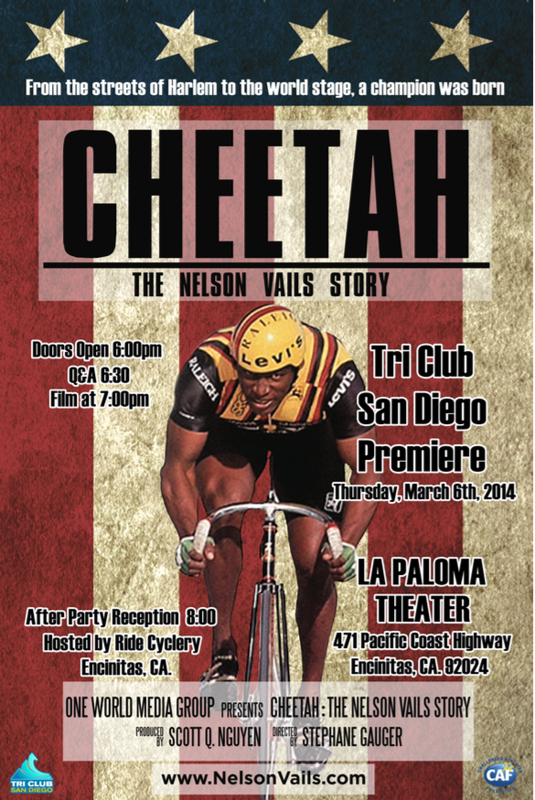 The San Diego Premiere of "Cheetah - The Nelson Vails Story" is March 6th at the La Paloma Theater in Encinitas. Seats are limited and can be purchased in advance here. Doors open at 6:00P and Nelson will be answering questions prior to the premier! There will be a reception following the film at Ride Cyclery.